Since 2010 several rural campuses from a variety of universities have benefited from the RCCP project. 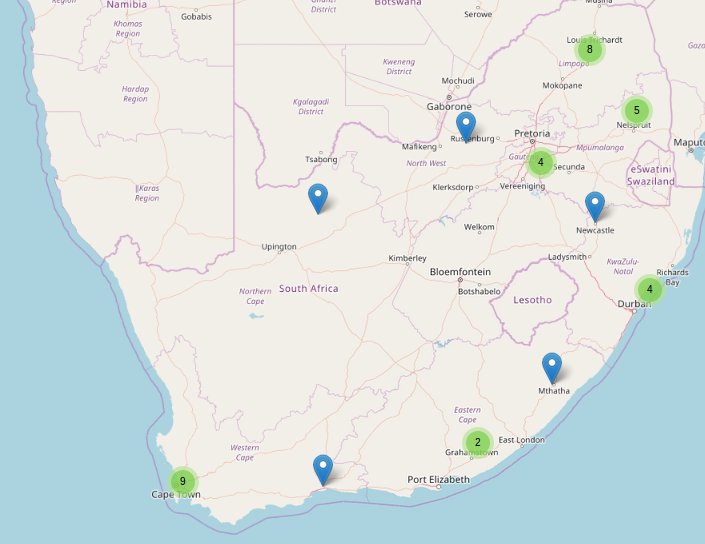 In 2018 the project RCCP II project team continues to connect universities in South Africa to the Internet. Learn more about the progress and plans. Please visit the interactive map for more details. Vaal University of Technology (VUT)/UNISA – Daveyton Campus. Vaal University of Technology (VUT) - Upington Campus.